Planned by the late Jack D. Rittenhouse, the Rittenhouse Photographic Survey of New Mexico is a project to photograph the settled localities of New Mexico. Rittenhouse, a prominent Western American book dealer, proposed this project while president of the Historical Society of New Mexico. He was concerned that no readily available photographs exist for many significant sites and structures. More than 1000 places in New Mexico have been identified as candidates for photographic documentation. These include ghost towns, mining camps, forts, Indian ruins, and every place that ever had a post office. Rittenhouse made black and white photographs of many, but not all, of the locations. Over 300 of his negatives are part of the Rittenhouse Collection, Ms 0286, of the Rio Grande Historical Collections of New Mexico State University Library. The Herbert W. Yeo Photographs are a part of the Herbert W. Yeo Papers, Ms 0094, in the Rio Grande Historical Collections. Yeo was an engineer on the Rio Grande Project; involved in the investigation and irrigation portions of the Elephant Butte Dam and Reservoir construction. There are over 2000 photographs in this collection. The photographs date from 1910-1950 with the majority dating from the 1930s. There are images of rivers, arroyos, reservoirs, flood sites, bridges, landscapes, and dams. The photographs of dams include Elephant Butte, Laguna, Rio Galisteo, San Juan Basin, and Suwanee. There are additional photographs taken during the construction of the Elephant Butte Dam as well as panoramic views of Elephant Butte. Located in Colfax County 14 miles northeast of Cimarron, Dawson was founded in 1867 when two brothers J. Barkley Dawson and L.S. Dawson settled on the Vermejo River. About 30 years later, rich coal deposits were discovered with a mine officially opening on Dawson's ranch in 1899. Phelps Dodge Corporation purchased the property in 1906. With the high demand for coal, Dawson became one of the largest cities in New Mexico at the time with 9000 residents. Once the coal market faded Phelps Dodge sold the property and company town to National Iron and Metals Company who agreed to dismantle it. In 1950 the people of Dawson were given 30 days to abandon their homes in order to raze the town. Today the only evidence of the town is the Dawson Cemetery, which serves as a reminder of two tragic coal mining accidents. The almost 400 photographs of Dawson, New Mexico in the Carol and Dwight Myers Collection, Ms 0315, show the town of Dawson from 1920-1926. The photographs are of the mine, the Dawson Ranch, town buildings, Main Street, and landscapes surrounding the town. Branigan Photograph Collection , Ms 0001. Contains 396 images. Amador Family Papers , Ms 0004. Contains 1352 images. Louis B. Bentley Photographs , Ms 0014. Contains 806 images. Fabian Garcia Photographs , UA 0450, Contains 242 images. Harold E. Cooley Photographs , Ms 0166. Contains 209 images. Witter Bynner Photographs* Ms 0186. Contains 2682 images. *Copyrights for images are owned by the Witter Bynner Foundation. James W. Kirby Photographs , Ms 0216. Contains 232 images. Thomas K. Todsen Photographs , Ms 0223. Contains 2287 images. Seligmann Family Photographs , Ms 0256. Contains 802 images. Kennecott Copper Corporation Photographs , Ms 0320. Contains 2038 images. United States Bureau of Reclamation Photographs , Ms 0324. Contains 454 images. United States Bureau of Reclamation Photographs , Ms 0326. Contains 92 images. United States Geological Survey Photographs , Ms 0327. Contains 79 images. Henry A. Schmidt Photographs , Ms 0333. Contains 76 images. Elmer Otis Wooton Photographs , Ms 0334. Contains 132 images. Carl Schuchard Lithographs , Ms 0339. Contains 48 images. 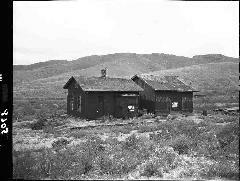 Jornada Range Experimental Station , Ms 0347. Contains 3353 images. Socorro County Historical Society Photographs , Ms 0363. Contains 760 images. Arthur Goss Photographs , Ms 0383. Contains 29 images.